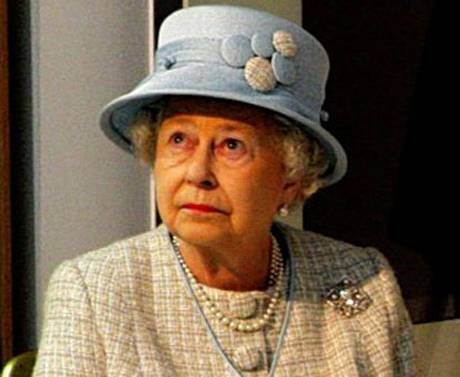 One of the Queen's key strengths is her poker face. She never looks particularly thrilled to be wherever her schedule has happened to take her, unless it's a racecourse. She doesn't look particularly excited to meet whoever she's meeting. She doesn't feel the need to compose her features into a rictus of feigned delight. It is difficult to imagine her being excited, let alone "psyched". I think that when the sad but inevitable day comes more people will be affected by The Queen's passing than those who will care to admit it; it will be that all to rare occasion when we as a nation express our solidarity with each other. This is not likely to happen if advocates of replacing the Head of State with 'here today, gone tomorrow' show pony politicians get their way. Who would morn the death of an ex-President Blair, Clegg or Cameron in years to come?